Located in the Eastern Africa Afromontane vegetation zone, the Nile-Congo Sentinel Landscape comprises of 4 sentinel sites cutting across 4 countries. These are: Mt Elgon (Uganda) and South-West Mau Forest (Kenya), Lake Kivu (Eastern Democratic Republic of Congo) and Gishwati (Rwanda). It represents forest and tree cover transitions along the socio-ecological degradation gradient, from protected forest margins to purely agricultural landscapes. It also focuses on the water towers that sustain Lake Victoria Lake Kivu and the River Nile. The main purpose of this sentinel landscape is to produce rigorous evidence on links between tree cover and ecosystem services at nested scales and the effectiveness of interventions to manage Ecosystem Service provision. It will focus on drivers and impacts of land-use and tree cover change on livelihoods, threats and benefits for environmental resilience, forest resources and governance, climate change adaptation and mitigation, biodiversity conservation and landscape restoration, land use management, water resource management and socio-economic and livelihood aspects (poverty, income diversification, food security and markets). Sites that fall within the forest transition continuum from completely protected natural forests, forest margins, through to mosaic landscapes with agroforestry, plantations, crop-fields and woodlots. Potential co-location of landscape activities with past, ongoing or upcoming bilateral projects where CGIAR organizations are part of. Situated in Bomet county of the rift-valley of Kenya, the South-West Mau is one of the 21 gazetted forest blocks that make up the Mau Forest Complex, the largest and most important of the five water towers of Kenya. Mau Forest is the largest closed‐canopy montane forest ecosystem in East Africa, and prior to recent deforestation it was larger than Mt. Kenya and the Aberdares forests combined. Hydrology: The South West Mau catchment area is the source of Sondu Miriu river, which then feeds into the Lake Victoria. It is arguably of transboundary significance since the water that flows from it is part of the Lake Victoria catchment, which in turn provides water to River Nile. Inhabitants: The forest was traditionally inhabited by Ogiek people, who were hunter-gatherers, but the adjacent area is currently dominated by the Kipsigis sub-group of the Kalenjins, and other settlers namely: Kikuyu, Luhya, Luo and Kamba. Key Economic Activities: Environmental services provided by South-West Mau Forest support key economic sectors including: energy, tourism, agriculture (cash crops, subsistence crops, and livestock) as well as water supply to urban centres and industries. The main cash crop in South-West Mau is tea. Subsistence crops grown include: maize, millet, potatoes, bananas and vegetables. Dominant vegetation types: Typical tree species in Mau Forest include Pouteria adolfi-friedericii, Strombosia scheffleri and Polyscias kikuyuensis. Olea capensis, Prunus africana, Albizia gummifera and Podocarpus latifolius are also found here. Drivers of Tree cover change: Over the last decades, approximately 25% of Mau forest has been lost to excisions, encroachment and illegal logging. In 2001, 27.3% (22,797ha) of the South West Mau Forest underwent excision. Other key threats to the South West Mau forest have been illegal extraction and unsustainable use of the forest’s resources for commercial purposes especially timber, wood-fuel and charcoal, cattle grazing and land resettlements. Continued destruction of the forest has not only led to biodiversity losses, but also total disruption of rain patterns and other changes in micro climate. Serious water crisis has been experienced in some areas, whereby perennial rivers are becoming seasonal, storm flow and downstream flooding are increasing, and in some places the aquifer has dropped by 100 meters while wells and springs are drying up. Mt Elgon site is located in the Mt Elgon sub-region is eastern Uganda. 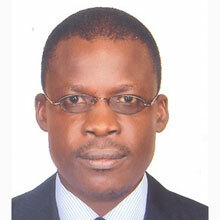 It falls in three districts namely; Sironko, Mbale and Bulambuli. Mount Elgon is a massive solitary volcanic mountain on the border of eastern Uganda and western Kenya. The mountain’s highest point, named “Wagagai”, is located entirely within Uganda. It is vast, measuring 80 kilometres in diameter. It is the seventeenth-highest mountain in Africa. Hydrology: Mt Elgon (Uganda) is the catchment area for many rivers which drain into Lakes Victoria and Kyoga that also feed the River Nile. Elevation: The site has two major topographic zones: lowlands and mountainous upland. The altitude of inhabited zones varies between 1,100 and 2,500 meters. The highest areas lie within Mt. Elgon Forest National Park. Mt Elgon consists of 4 major peaks, three of which are in Uganda, the highest (Wagagai) is at the Uganda-Kenya border (4,321m,14,177 ft). Inhabitants: Mount Elgon area is home to two major tribes, the Bagisu, the Sabiiny. Main Economic Activities: A majority of the population is engaged in subsistence farming as the main economic activity. Accordingly the available land is subject to continuous and intensive cultivation. At lower areas, important crops grown include maize, millet, cassava, sweet potato, rice and vegetables while at higher elevation coffee-banana systems dominate. In the transition zone, there is a mixture of both. Coffee is the major cash crop. Most households own livestock, usually kept in zero grazing system or in combination with partial grazing (tethered grazing, stubble grazing). Dominant Vegetation types: The lower and mid highland areas of the Mt. Elgon site are intensively cultivated with little to no remnants of natural vegetation. Natural vegetation is mainly restricted to gazetted areas at higher elevations, Mt. Elgon Forest National Park and some smaller forest reserves, e.g. Namatale. The National Park supports a variety of unique habitats (montane forest, bamboo forest, grassland, heath and moorland). The mountain slopes are covered with olive, Olea hochstetteri and Aningeria adolfi-friederici wet montane forest. At higher altitudes, this changes to olive and Podocarpus gracilior forest, and then a Podocarpus and Arundinaria alpina (bamboo) zone. Higher altitudes comprise the Hagenia abyssinica zone. Gishwati landscape comprises a protected forest reserve and agricultural landscapes in Rubavu, Rutsiro, Nyabihu and Ngororero districts in the north-western part of Rwanda, not far from Lake Kivu. The Gishwati forest is used for conservation of animal species that are under international alarm for protection. These are eastern chimpanzees (Pan troglodytes schweinfurthii, listed as Threatened on the IUCN Red List); golden monkeys (Cercopithecus mitis kandti, listed as Endangered); mountain monkeys (Cercopithecus l’hoesti, listed as Vulnerable); and more than 130 species of birds including 14 that are endemic to the Albertine Rift. Hydrology: Gishwati is the catchment area for many rivers, including Sebeya and Busoro rivers, which empties into Lake Kivu. Elevation: Altitude ranges from 1,800 to 2,700 metres above sea level. Dominant vegetation types: The native forest remnant is dominated by: Macaranga kilimandscharica, Carapa grandiflora, Entandrophragma excelsum, Symphonia globulifera , Hagenia abyssinica, Polyscias fulva, Dombeya goetzenii, Euphorbia candelabrum, Ficus thonningii and Erythrina abyssinica,. The rehabilitated forest (at the periphery of the native forest) and inhabited areas are dominated by Alnus acuminata and diverse Eucalyptus species including Eucalyptus globulus. Drivers of Tree Cover Change: Gishwati forest used to extend west beyond Lake Kivu, connecting with the rainforests of the Congo, and south connecting with Nyungwe Forest. The reserve’s forests were largely intact in 1978, and substantial forest cover still remained in 1986. The forest has a history of deforestation extending over the past 50 years, partly because of large-scale cattle ranching schemes, free grazing of cattle, crop farming, human settlements, and establishment of plantations of exotic tree species mainly Pine, Eucalyptus and Acacia spp. However, during the Rwandan Genocide in 1994/1995, after a wave of refugees arrived in Gishwati Forest and began clearing it, often for subsistence farming. Gishwati forest reduced in size from 28,000 ha in 1970s to about 600 ha in 2002, implying a significant loss of area and biodiversity. By 2001, only a small circular patch of native forest remained, 1,500 acres (6.1 km2) of the forest’s original 250,000. Reforestation efforts in the past few years have increased the remnant native forest to about 2,500 acres (10 km2). Large tea estates occupy the central and northern parts of the reserve. In addition to tremendous loss of biodiversity, the area around Gishwati is plagued with flooding, landslides, erosion, decreased soil fertility, decreased water quality, and heavy river siltation, all of which aggravate local poverty and environment degradation. This sentinel site is located at the periphery of Virunga National Park in the province of North Kivu in the East of the Democratic Republic of Congo stretching along the Ugandan and Rwandan borders. The park has a very diverse and unique landscape with exceptional fauna and flora of global importance for conservation and was classified as a UNESCO World heritage site in 1979. It covers an area of over 784.368 ha in the Albertine Rift and lays at the intersection of several biogeographic zones. It forms an important water catchment area for Lake Kivu. Hydrology: Lake Kivu is a transboundary lake that lies on the border between the Democratic Republic of the Congo and Rwanda, and is in the Albertine Rift, the western branch of the East African Rift. The hydrographic network comprises two major lakes, Lake Kivu empties into the Ruzizi River, which flows southwards and drains into Lake Tanganyika and feeds in the Congo Basin and Lake Edward draining into Lake Albert and feeding in the Nile Basin. It also has four middle lakes (Monkoto) and important rivers such as Rutshuru, Rwindi, Semliki, Osso and Lowa. The lake itself covers a total surface area of some 2,700 km2 (1,040 sq mi) and stands at a height of 1,460 metres (4,790 ft) above sea level. Rainfall: The climate of North Kivu is bi-modal alternating two rainy seasons with two dry seasons differing in their timing on the two sides of Equateur. Average annual rainfall is between 1,000 and 2,000m. Drivers of Tree Cover Change: The North-Kivu region has a history of recurrent troubles and instability since the 1960s but these have culminated from the early 1990s onwards with the proliferation of local-level rebellions and international armed conflicts. In 1994, the threat escalated severely following the Rwandese genocide when almost a million war refugees settled in large camps on the periphery of the park, which led to the destruction of the parks’ vegetation and natural resources. The humanitarian and environmental crisis in the area continued with two consecutive civil wars that took place between 1996 and 2003 and the collapse of the central government in Kinshasa seriously depleted the natural resources and capacity of the park management authorities. Currently, the area is highly degraded, thereby threatening the livelihoods of communities that depend on the park and L. Kivu for survival. The Nile Congo SL main collaborators are: CIFOR, ICRAF, Biodiversity, CIAT and IUCN. The four-year Trees for Food Security project has been launched in eastern Africa with $5.5 million of funding from the AIFSC. The aim of the project is to encourage and support farmers to integrate trees onto farms with cropping and livestock for improved food and nutritional security. Previous research has indicated that crop yields can be doubled by incorporating the right trees and management practices into agricultural systems. The project will focus initially on Ethiopia and Rwanda and then scale out the appropriate agroforestry technologies to Uganda and Burundi. It aims to reach large numbers of farmers in rural regions where an estimated 10 million people are facing acute food security problems. The project is led by the World Agroforestry Centre (ICRAF) in partnership and with strong support from the governments of Ethiopia, Rwanda, Burundi and Uganda and key national and international agencies. Other partners include Australia’s CSIRO, the Maize and Wheat Improvement Center (CIMMYT), the International Livestock Research Institute (ILRI) and World Vision. Project was developed by ICRAF as a response to an invitation by IUCN to support IUCNs mission to increase the pace and scale of forest landscape restoration by developing decision support tools to design and combine interventions at the landscape scale in the interest of landscape stakeholders. It has 3 work packages that were designed to fill important knowledge gaps regarding the potential role of agroforestry tree species in landscape restoration. Project video was the winner of the Global Landscapes Forum Partner Video Awards that was shown at the Global Landscapes Forum. It featured the project work on the vegetationmap4africa and the Africa Tree Finder. The Uganda team organized a workshop on Mt. Elgon where many partners were trained in the use of the smart phone applications. A blog on the Landscapes Portal that highlights soil sampling on Mt Elgon: http://landscapeportal.org/blog/2015/03/06/field-sampling-in-uganda-underway/.